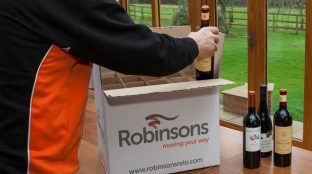 When moving with Robinsons, you get a personal Move Manager. Professional, friendly and fully trained, your Move Manager knows what stage your move is at, at any given moment. Prior to your move date, your Move Manager will be in touch regularly and any problems will be resolved as quickly as possible. During the move, your Move Manager will co-ordinate your information with a sophisticated tracking system. The system records every detail of your move, including each discussion that has taken place. Nothing is left to chance. 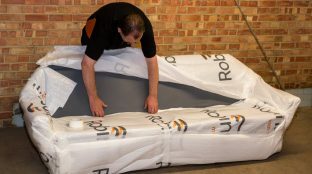 While we have great confidence in our removals service, our purpose is to provide you with total peace of mind. 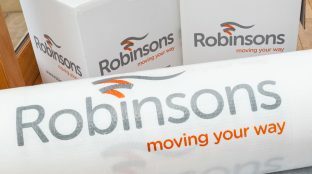 To achieve this, we offer Robinsons Removal Insurance. No house removal can be entirely without risk; very rarely, accidents occur. We provide relevant, beneficial insurance cover. As a minimum, we fully inform you of the risks you’re taking if you don’t insure. Most removal companies don’t provide proper insurance products. Instead, they insure their liability to you for any damage that they might cause. Sound fair? Not really – if anything happens, you have to prove that they caused (and are liable for) the damage. This is called liability cover – it isn’t the same as an insurance policy. Also, our policy may offer things that your contents policy doesn’t. For full details of our insurance, get in touch with our friendly team. No matter how carefully you plan your moving day, some elements are beyond everybody’s control. Robinsons will be prepped, but others (e.g. legal, financial and property organisations) may not share the same levels of organisation. For instance, key collection can be delayed due to technical failures. Our Late Key Waiver covers you for up to a three hour time delay, avoids stress and cuts unexpected costs. Further changes can occur last minute. A postponed or cancelled move may seem like the worst case scenario. With our Cancellation Waiver, it doesn’t have to be. Regardless of circumstances, if the move date is changed or cancelled, you will not incur additional costs. Your Move Manager will happily provide you with more information. Full details of our insurance options can be discussed during your home survey or at your local branch. What happens if the move gets delayed for reasons beyond my control? There are several reasons beyond your control that might delay a move, so we offer both Late Key Waiver and Cancellation Waiver options so you won’t incur additional costs.